I don’t know. What do you think they mean by drivel, exactly? Do you think they might be interested in another manuscript I’ve been shopping around? Seriously, I’ve never really received a letter like this, I’m just playing up the desperation most of us run into at some point or another when we are clawing our way out of the submissions trench, looking for the first ray of light we’ve seen since being buried alive. How do we get so low that we read between the lines of a form rejection to see if they really wanted to send us more than a form rejection…maybe they wanted to send us a personal rejection. And that kind of rejection is far better than the form. Oh, wait…no matter how you slice it they are saying NO! They may put a little extra time in to craft an eloquent NO. Or they may just say NO in such a round about way that you wonder if they really are saying NO. But if they aren’t saying yes…they are saying N-O. Does this post seem familiar? You've got a good memory. I'm re-posting an old post of mine. 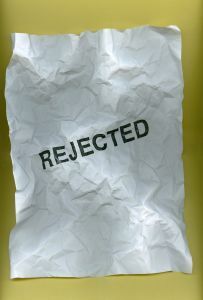 If they'd only tell why it's rejected -- what you could change or improve for next submission. Why not encourage and help instead of the No? I do understand. When you're applying for a job you don't expect to get a call/email if they aren't interested, "We got your resume, but feel you lack the appropriate experience in coffee making." That said, it REALLY is nice to get a personal rejection. Even if it is still a no in the end. I think you have to remember that each editor/agent has different tastes. One may not like it, but someone out their might. We just have to find the right one. So we keep trying. It is nice to have personal note along with the "no thank." One wall in my writing room has these notes taped on it, as a reminder that the story almost made it and there is hope.